We are Travel Agent and we look forward to the opportunity to act as your booking agent for your travel needs. These terms and conditions (the “Agreement”) describe what you are legally entitled to expect from us when you purchase travel related services through us, in addition to your obligations as a customer. The terms “we”, “us” and “our” refer to Travel Agent. The term “you” refers to the customer visiting our website, booking a reservation through us or otherwise using our services. We sell a variety of travel related products from different suppliers and service providers (“Suppliers”). Each Supplier has its own terms and conditions that are applicable to your particular arrangements in addition to our general terms and conditions, and you should make sure you understand them. Certain software and content found on our website are owned or licensed by us or our Suppliers, your use of which may be subject to further conditions. 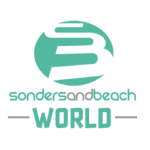 Our website, which is referred throughout this Agreement, can be found at www.sondersandbeach.com – www.quiiky.com . Travel Agent is acting as intermediary or a “Booking Agent” for products and services that are not directly supplied by us (e.g., air carriage and ground transportation, hotel accommodations, meals, tours, cruises, etc.). We are not a co-vendor of such products and services. You will be entering into a separate contract with such Suppliers in connection with such products and services. All airlines tickets are subject to supplemental price increases that may be imposed after the date of purchase. Post-purchase price increases may be applied due to additional costs imposed by a supplier or government. You may be charged additional sums by Travel Agent to offset increased fees, fuel surcharges, taxes, and fluctuations in foreign exchange markets or any combination thereof. Acceptance of these terms and conditions hereby consent you to any post-purchase price increases and authorize Sonders and Beach Italy srl to charge your credit card for such additional amounts. After you have left your country, it is your responsibility to check with the airline that any onward flights you have confirmed are operating as booked. We strongly recommend that you contact your airline at least 72 hours before the scheduled departure of each flight to do this. Please note that for some airlines it is mandatory to confirm with them your intention to fly. By booking your arrangement with us or using our website, you are agreeing to be bound by the terms of this Agreement, including Parts 1-3 of this Agreement and any additional terms and conditions of any Supplier that are applicable to your booking, travel arrangements or use of any website content. You agree on behalf of yourself and those you represent to comply with all such terms and conditions, including the payment of all amounts when due. You agree that any violation of any such terms and conditions may result in (a) the cancellation of your reservation or purchase, (b) the forfeiture of any money paid for your reservation or purchase, (c) access denial to the applicable travel related product or service, and (d) our right to debit your account for any costs we incur as a result of such violation. You represent and warrant that (a) you are of sufficient age to use our services and website and can create binding legal obligations in connection with your use, (b) you are legally authorized to act on behalf of those you represent and accept these terms and conditions on their behalf, and (c) the information supplied by you or members of your group is true and correct. You are responsible for informing such other persons of all terms and conditions applicable to their travel arrangements. You understand that you are financially responsible for any use of our services or website acted by you and by those using your name or account. Final Payment: Balance (50% of package price) due 90 days before departure. If paying by credit card, the second deposit and final payment will be charged to the same credit card given for the first deposit unless Quiiky is notified of changes in writing at least seven days prior to the payment due date. 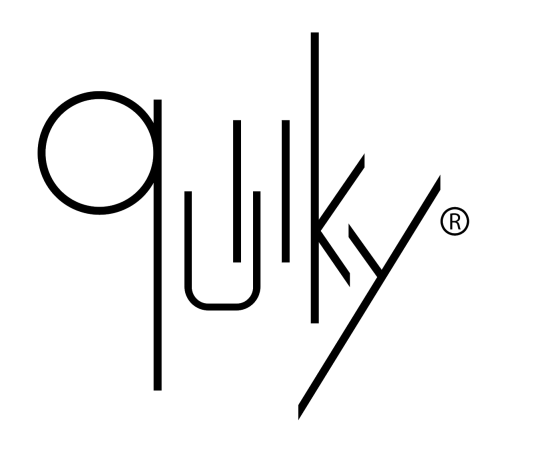 Quiiky offers simply the best Accommodations, tours, transportation and service. We reserve the right to make changes to any accommodation, tour, transportation or service in our itineraries. However, should Quiiky need to substitute any accommodation, tour, transportation or service, we will endeavor to provide you with a comparable alternative in time, price and quality. Tour prices are guaranteed once Quiiky receives your first deposit. However, in the unlikely event of a substantial increase in operating costs, fuel costs, tariffs or taxes prior to the vacation, we reserve the right to add a surcharge, not to exceed 3% of the land cost per person. All assessed government or quasi-government fees and taxes are subject to change without notice at any time, and we reserve the right to add a surcharge for these fees and taxes whether you have a confirmed booking under deposit or have made final payment. For Cancellations 0-60 days before start of trip: 100%. Where different specify in specific offer this cancellation policy will be not valid. Quiiky packages may be transferred to another guest for a €150 service fee, although no transfers can be accepted within seven days of departure. If you have a problem during your holiday, please inform the relevant Supplier (e.g. your hotel) immediately. Should they be unable to resolve the matter, please immediately contact us. If you fail to timely contact us, we will not be permitted the opportunity to investigate your complaint and attempt to rectify any error while you are away, and this may affect your rights under this Agreement. While Quiiky will assist when possible, please note that passport, visa, and vaccination requirements vary from country to country and are the sole responsibility of the traveler. Generally speaking, your valid passport should have at least two blank pages and should be valid for at least six months after your planned departure from the country you are visiting. Passport and visa requirements can change at any time, and travelers should always check their country-specific requirements for traveling abroad.It is your responsibility to fulfill the passport, visa and other immigration requirements applicable to your itinerary. You should confirm these with the relevant embassies and/or consulates. We do not accept any responsibility in the case of you being unable to travel due to not complying with any such requirements. All prices quoted are in Euro (€). Should any government charges change between now and the time of travel we reserve the right to adjust the package accordingly. All prices are subject to change until your deposit is received and reservation is confirmed by Quiiky.